The "corrosive" Left destroys everything it comes into contact with. Doubt this? 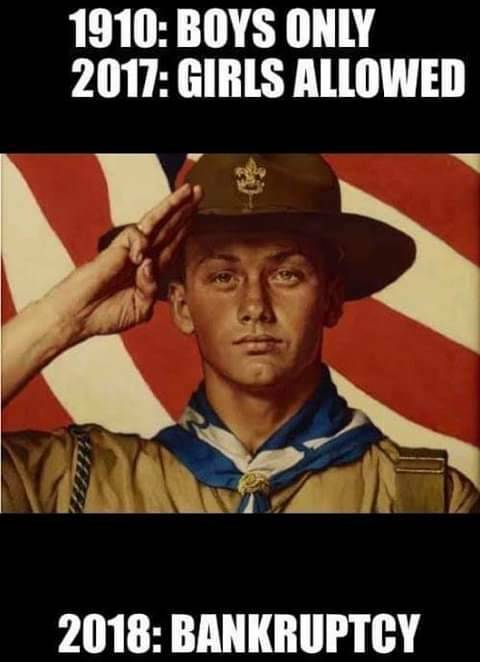 - Or the formerly-known-as Boy Scouts of America...look at the timeline. They died faster than Venezuela! 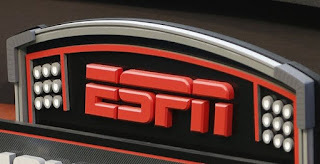 *ESPN 'lost' two million subscribers in fiscal 2018 alone [read: billion$ in future revenue that are lost forever]; layoffs are being planned now. B&G Scouts of America. Moral bankruptcy proceeds financial bankruptcy. 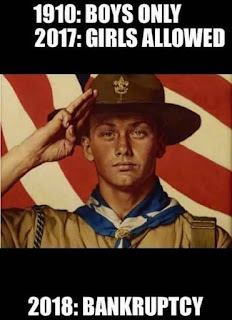 The Boy Scouts didn't go bankrupt from allowing girls in, they went bankrupt allowing gay child predators in. For which they are being sued. If you want to put the blame on someone though, the ACLU is probably the most culpable.